Select ‘Skrill’ on the left-hand side and "Bitcoin (BTC)" on the right of the Paybis home page. 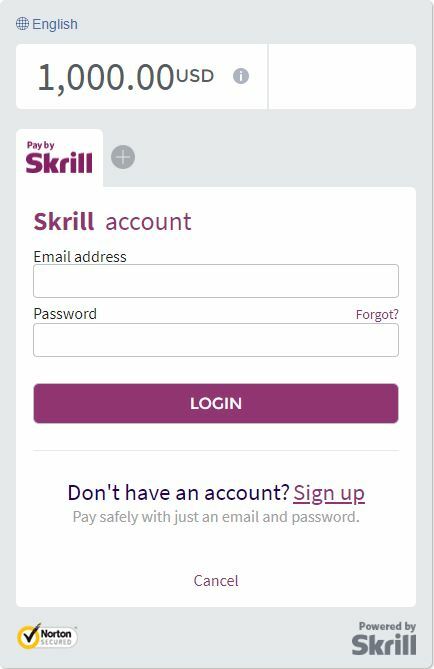 Enter the $$ value you would like to pay in ‘Amount you deposit’. 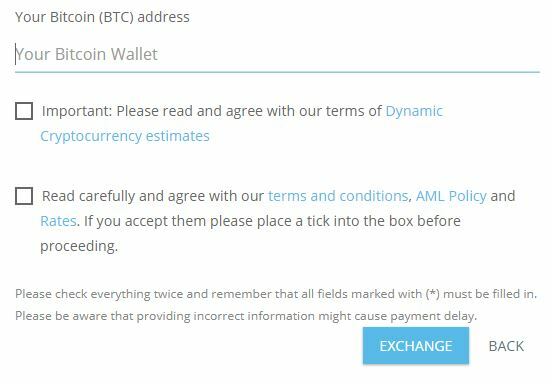 Your Bitcoin (BTC) address - please ensure that your Bitcoin (BTC) address is correct, as all transactions are irreversible, and it will not be possible to change the address later on. First and Last Name - Should be exactly as they appear on your document. If the name does not match, your verification will be rejected. 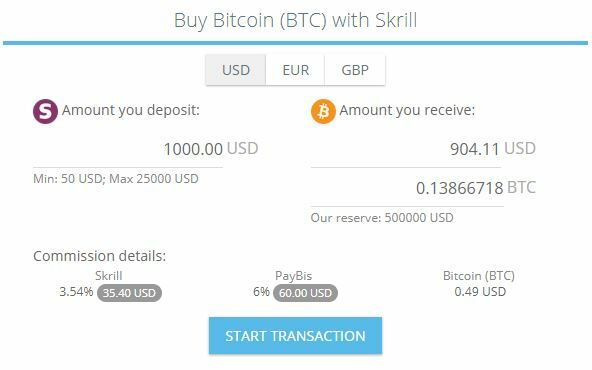 Please note that Bitcoin (BTC) payouts are done once in 10 minutes.